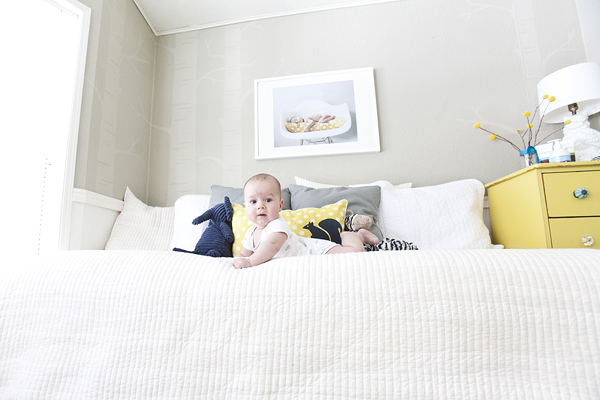 Today I finally got around to photographing August's nursery. I still want to put a couple more things up on the walls but I thought it was time to post an image of the whole room. 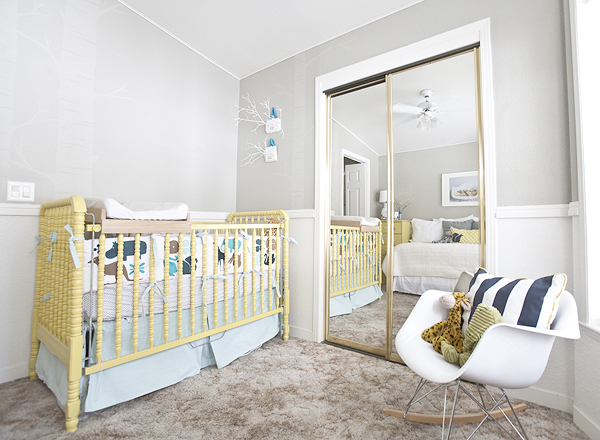 I really wanted a gray nursery but finding the right gray was quite tricky. Lucky we only had to go through two colors. 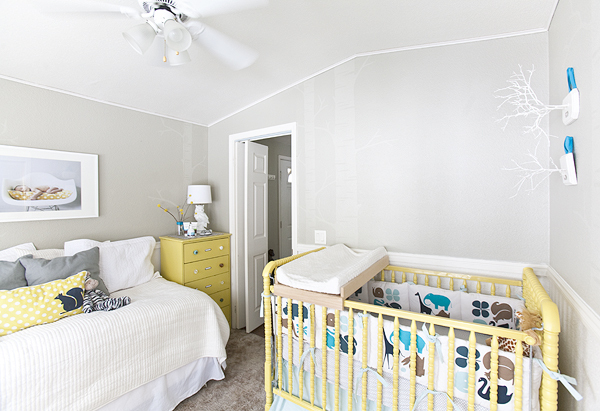 Next I am also going to post a DIY on how I painted the birch trees. It was really so easy. I hope you like it. Try not to get distracted by the ugly carpet. Allyson, where is the bedding from? And what color gray did you use?